This discrepancy doesn’t mean that cats aren’t loved as much as dogs. Instead, the study showed that cats don’t have regular health checkups, because their owners anticipate unpleasant experiences while taking their cats to the veterinary clinic. One human year is equal to four cat years, and a lot can affect a cat’s health in that time. Cats are masters at hiding illness. 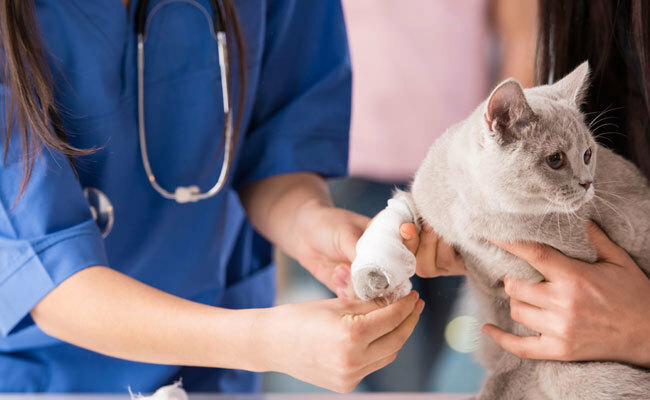 Veterinarians are trained to spot subtle signs that something is wrong and can detect many problems before they become difficult and expensive to treat. More than 50 percent of cats are obese. Just a few extra pounds can lead to diabetes, heart and kidney disease. Veterinarians can offer input on helping cats lose weight. Periodontal disease is considered the most prevalent disease in cats 3 years of age and older, which may lead to infection, loss of appetite and pain. Probably the biggest hurdle in getting cats to the vet is getting them into a carrier. 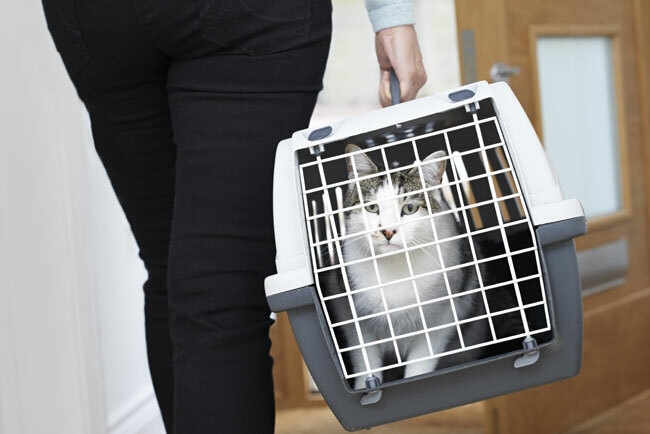 In a 2012 AVMA Newsletter on cat-friendly practices, Ilona Rodan, a veterinarian at the Cat Care Clinic in Madison, WI said when cats are comfortable in their carriers veterinary visits are much more pleasant for cats and owners. 1. Understand your cat’s behavior. The carrier, car and animal hospital are unfamiliar to your cat. It’s important that you stay calm and respect your cat’s need for time to become familiar with new situations, people and places. 2. Help your cat get comfortable with the carrier. Keep it out in a room at home where your cat spends a lot of time. Place familiar soft bedding inside the carrier as well as treats or toys. Remember it may take some time before your cat enters the carrier voluntarily so be patient. 3. Choose the right carrier. The best type of carrier for cats is one that is hard sided and opens from the top, the middle and the front. 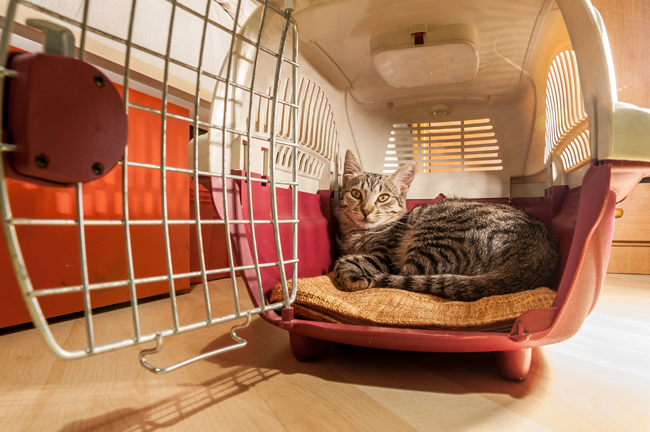 Being able to remove the top of the crate makes it easier for a vet to examine a cat who doesn’t want to leave his/her carrier. It should be sturdy, secure and stable for the cat while being easy for you to carry. 4. Consider taking your cat to a designated Cat Friendly Practice (CFP). These practices have made changes to decrease stress and provide a more calming environment for cats and owners. Members of staff at these facilities have also been trained in feline-friendly handling and understanding feline-specific behavior in order to increase the quality of care for cats. 5. Make your cat’s homecoming easier on your other cats. Cats are very sensitive to smells and when one cat in a multi-cat household returns from a visit to the vet the others may not recognize him/her right away. It’s best to leave the returning cat in the carrier for a few minutes to see how all of the cats react. Separate the cats if there are signs of tension. The AAFP makes it easy to find a veterinarian who is an AAFP member or an animal hospital that is designated as a Cat Friendly Practice. Previous Previous post: Does Your Cat Have What it Takes to do Therapy Work?